I Webb Language Services are now able to offer comprehensive French proofreading services, including copy-editing and re-writing. We are also able to provide localisation into UK English. 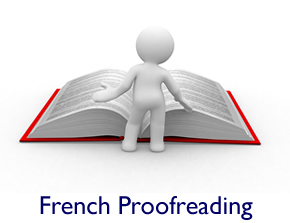 We specialise in French proofreading for dissertations, legal, technical, academic texts and marketing material. Our work is comprehensive and accurate, and we always go the extra mile to ensure the quality of our proofreading service. We not only check spelling and correct usage of French grammar, but make helpful suggestions where re-phrasing is appropriate for the target audience. Please contact us for more information or for a French proofreading quotation.